What is the best way to find a new role? Is it still talking to a friend of a friend? The world of recruitment and hunting for a new role has changed beyond all recognition in the last 10 years. Gone are the days when you could either find your next new role in paper media (Daily Telegraph, The Grocer etc...) and in its place is a sprawling landscape mixing digital media, paper media, social media together with internal talent teams, recruitment agencies, Executive Search consultancies and, of course, an individual's own personal network. I do think there are now far more jobs unadvertised than ever before and so relying on being able to find what you are looking for in a form of media is likely to be an ineffective strategy. In our Executive Outplacement programme we work hard to develop our clients personal brand, identify the aspirational companies they would love to work for before building a robust marketing strategy to go and tell the right people or key influencers of their objective. Clearly your personal network is critical and offers a huge opportunity to you to find a new role and I absolutely agree that it is unlikely to be those closest to you and more the case that you need to develop into their network. You need to know what you are looking for though so you can educate your network and ensure they have the right conversations and make the right introductions for you. How do you get a job these days? The answer often involves networking — it isn’t what you know, it’s whom, we’re told. But what does that mean? After all, we’re connected to many people, in countless ways. So who can actually help? What kinds of relationships should we try to use when we are looking for a job? 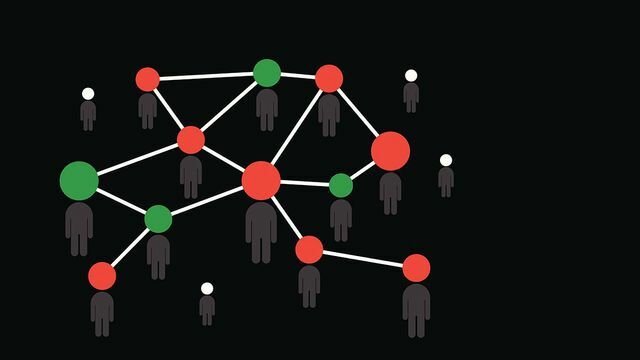 If you go to job-searching workshops — and I went to more than 50 in the course of studying the contemporary hiring landscape in 2013 and 2014 — you will be told weak ties are the key. Weak ties are the people you know, but not terribly well: your child’s teacher, or the friend of a friend you happened to meet at a party. This advice originated in a groundbreaking study by sociologist Mark Granovetter in the early 1970s.